How to install the Boot-Repair tool in an Ubuntu live disc? When the bootloader (GRUB) is broken, I cannot access neither Ubuntu nor Windows. 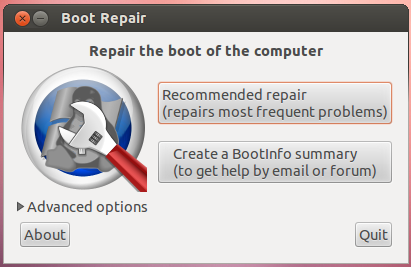 I heard that an easy solution to fix this is to use the Boot-Repair tool from an Ubuntu liveCD (or liveUSB). 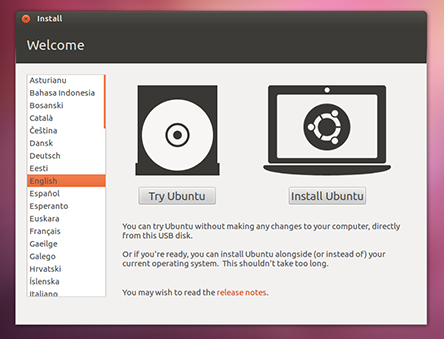 Insert or connect the Ubuntu live media (DVD or USB). Find out how to boot your computer from removable media. Note that there is a difference between booting of older computers (BIOS/MBR) and newer ones designed for Windows 8 and later releases (UEFI/GPT). Reboot the computer from live media and choose Try Ubuntu when asked. Note: You copy and run them all at once. If you want to run them individually just remove the trailing "; \". That's it, the Boot-Repair window will appear! What is a terminal and how do I open and use it? How to restore boot from HDD when boot-repair fails? Is it normal for Ubuntu to take a long time to shut down after running the boot-repair program?